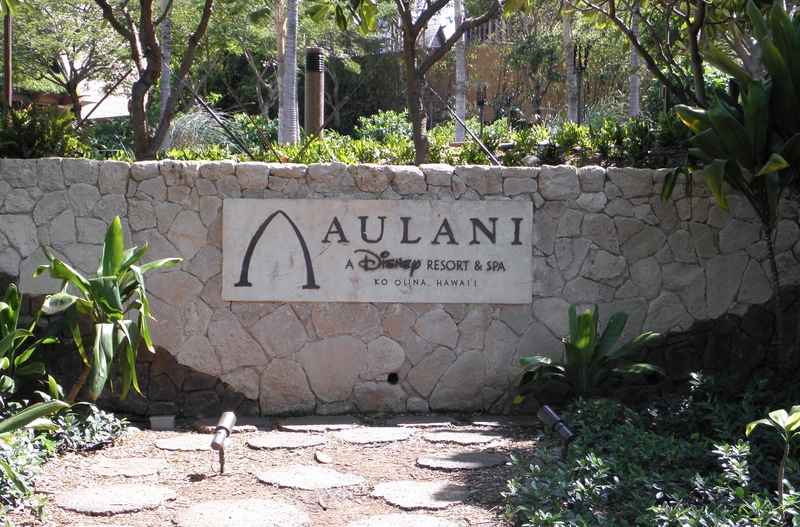 We spent a week at Aulani over Spring break. We had a great time, but I’m not sure we would visit during that time period again because of the crowds. The resort was almost too overwhelming the first couple of days because there were so many people and the pool area is a little confusing with so many pools (maybe we were just tired and jetlagged and unable to navigateJ) A few people we spoke to had been there for a few weeks and they said it was a completely different resort a few weeks earlier because the crowd level was much lower. Disney did a fabulous job providing a variety of water areas to meet everyone’s needs. 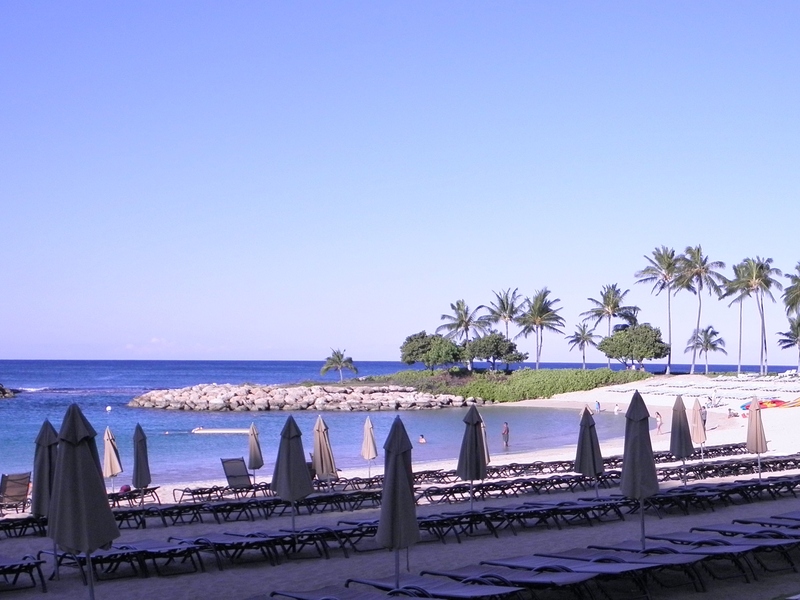 The beach is beautiful with plenty of seating, the lazy river is so relaxing, the kids play area was very busy and a variety of swimming pools and Jacuzzi options. Because of the amount of guests, it required us to get up early and get down there at 8:00 AM to reserve a chair. Not what I like to do on a vacation. The chairs at the beach didn’t seem to fill up as fast as the pool area. But if you are looking for shade, you will find many, many options. It appeared that they actually had more shade areas than areas to catch some sun. The pools are amazing. The layout of the pool deck is such that you can’t really get a feel for the number of people. It is broken up into small sections. 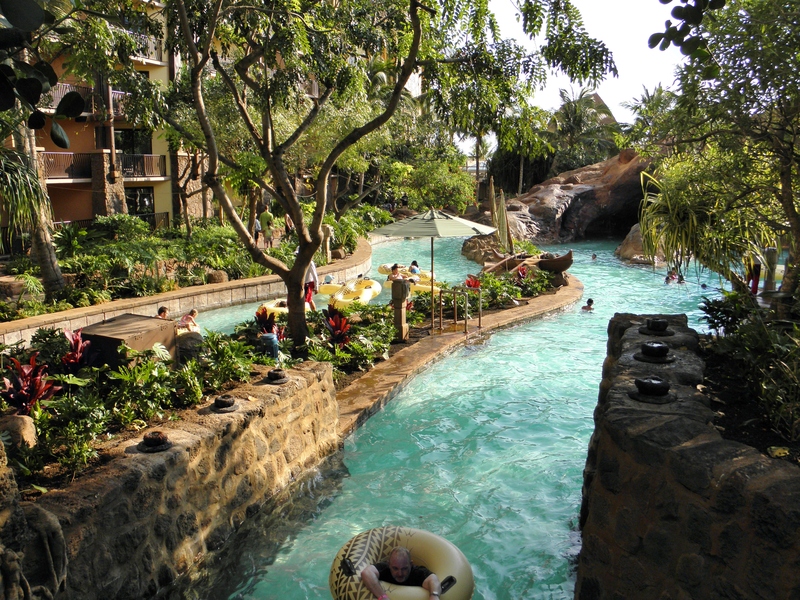 Our favorite area of the pool deck was the lazy river. We spent quite a bit of time enjoying the river. Rainbow Reef is one of the pools, but it is a snorkeling pool with a variety of tropical fish. 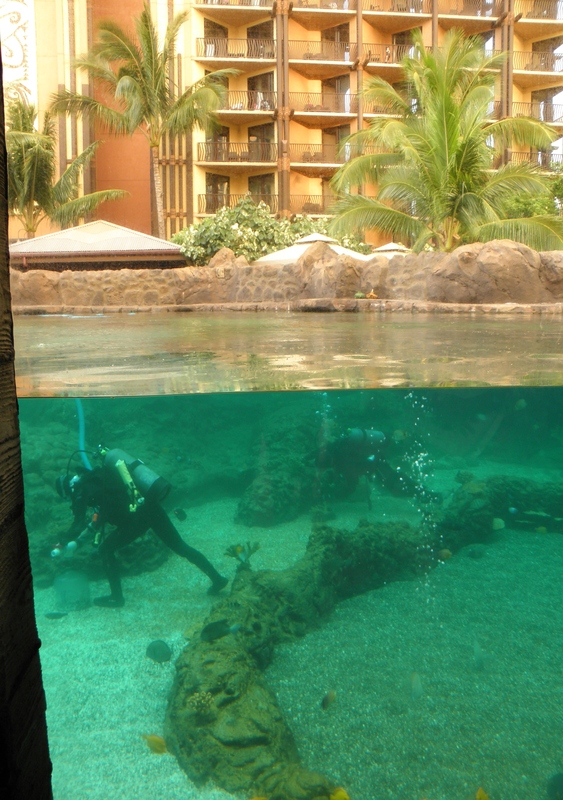 They even have a viewing window so you can watch the snorkelers. Awesome. 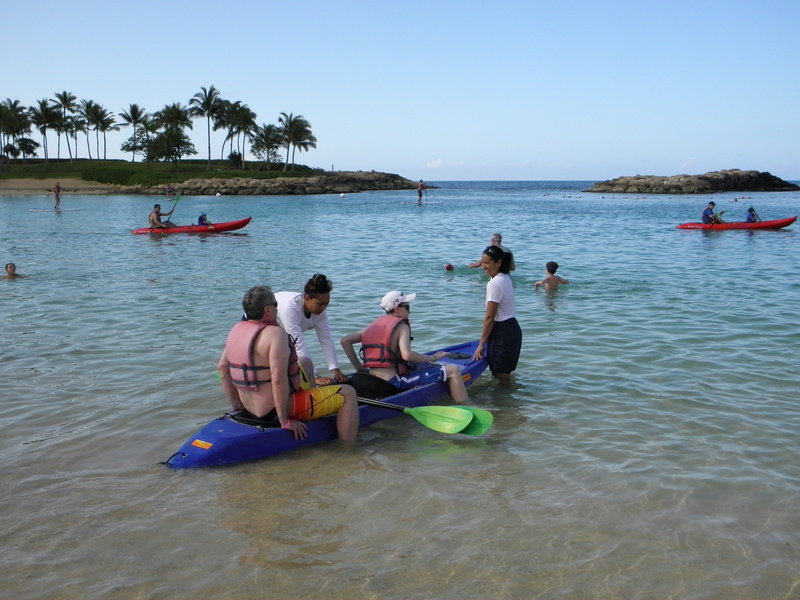 Aulani offers a variety of activities throughout the day. 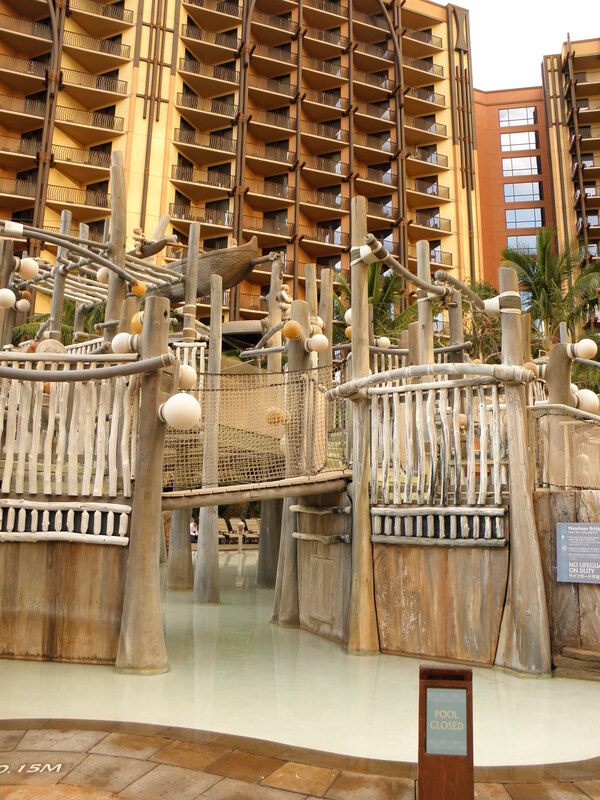 The Daily ‘Iwa is available daily listing the multiple activities each day and it is broken down by family, children and teen activities that will be happening throughout the resort that day. Everything from storytelling, crafts, pool games and beach rentals. The Holoholo desk is located in the lobby to help arrange excursions. 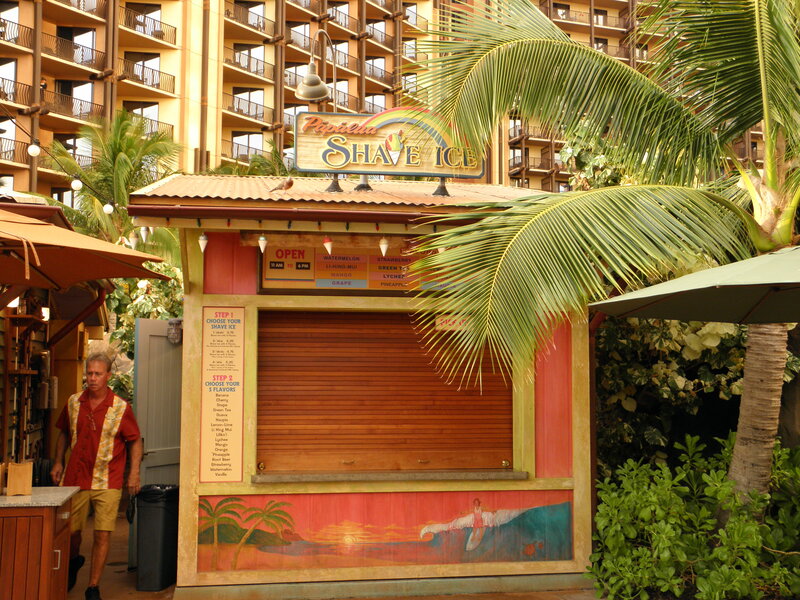 Characters can be seen throughout the pool and restaurants at specific times during the day. You never know when Goofy will join you at the pool. 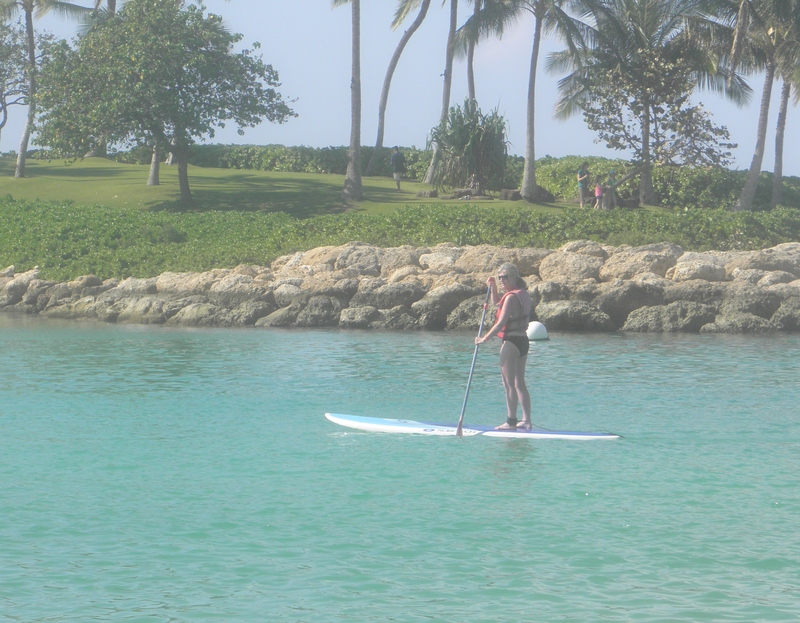 We enjoyed the paddle board and kayak rentals. The rooms were beautiful. We opted for an island view to save some of our DVC points. As soon as we got in the room, we didn’t regret our decision. We were hardly in our room during the day, so the view wasn’t a big deal. Also, the pool deck seemed to get going early in the morning and it was a little loud, so we enjoyed the quiet of the island view. Even though we only had 3 people in our room, we would definitely opt for a 1 bedroom next time. The additional space and the washer/dryer in the unit would have been a benefit. 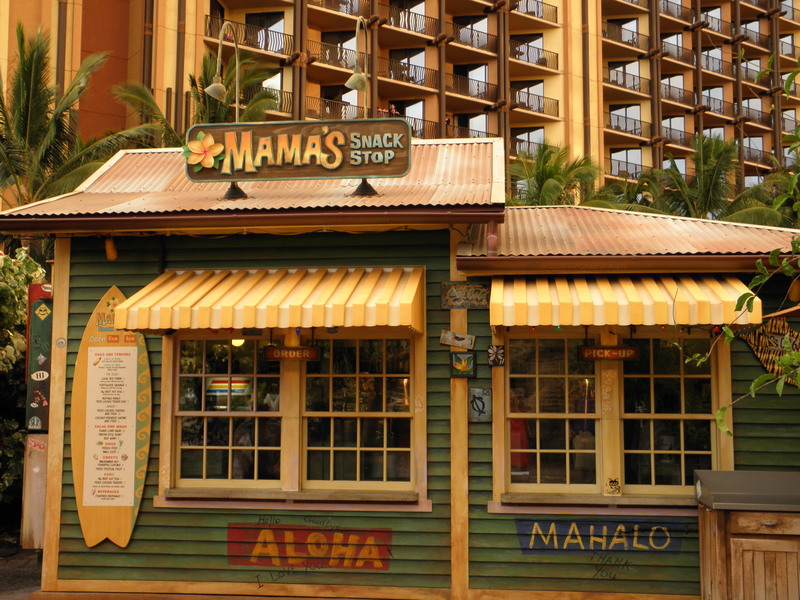 There are bars, quick service and sit down restaurants throughout the resort. Unfortunately, the poolside quick service locations open at 11:00 AM and close at 5:00 PM, which left few options for dinner. Our biggest drawback to the resort was that the food. It was expensive and not very good. We found a few options to help reduce our food budget. Target was our first stop and we loaded up on breakfast food, snacks, water, wine, etc. Monkey Pod restaurant was across the street from the resort. They have Happy Hour from 3-5 with ½ off appetizers and $9.00 pizzas. Just Tacos was also across the street. The food was just OK, but it did provide an additional option to eating on-site. Our most enjoyable meal was at the Marriott Vacation Club resort which is a beautiful walk from Aulani (this is not the JW Marriott next door). 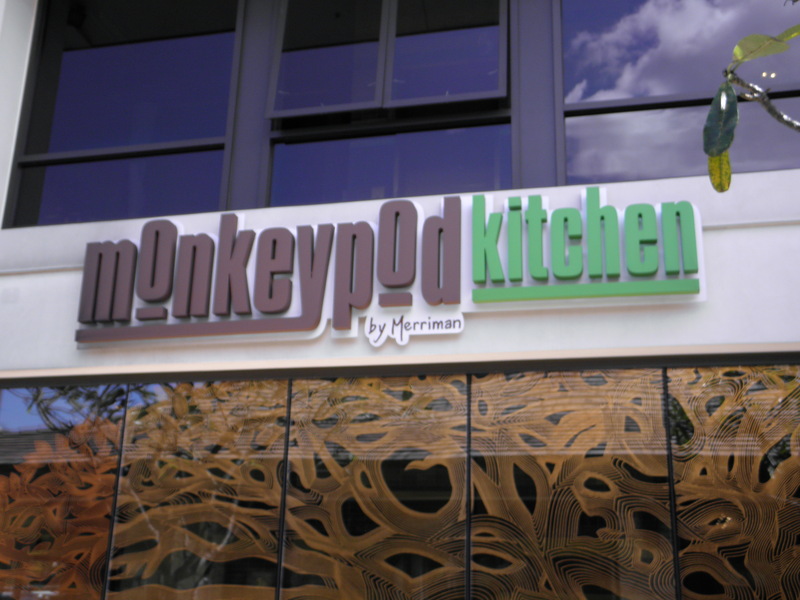 The food was very good and the prices reasonable. They have a buffet breakfast for $19, but we went for lunch and it was wonderful. Coffee, coffee, coffee. I can’t start my day without it. There is a JW Marriott next door that has a Starbuck’s, which was a lifesaver. 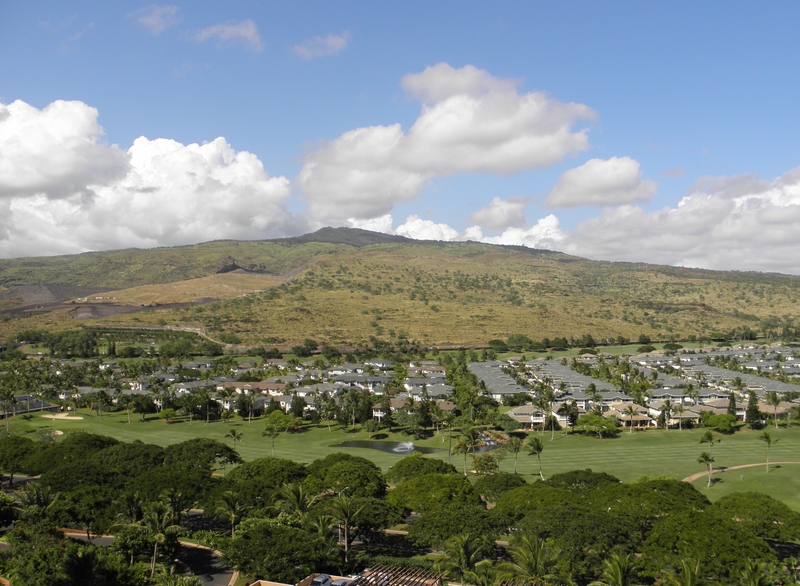 We knew we were going to want to venture out and visit Pearl Harbor and visit restaurants off the property, so we rented a car a car at the airport. When we went on line, we were finding rates for the week between $350 – $550/week. But low and behold, I found a discount broker where we got a rate for $210/week through Thrifty, but the offer rates for most of the large rental companies. We would definitely use them again. www.DiscountHawaiiCarRental.com For the amount we saved eating out and doing our own excursions, the cost of the rental more than paid for itself. We had heard comments that the cast members were not as friendly as Disney World. We found that to be completely the opposite. They were wonderful, friendly and very eager to help make your vacation special. They definitely brought the Disney spirit to Hawaii. We had a fabulous time, but again, we would probably stay away from Spring Break next time to avoid the crowds.